As sweet as a Suh signing would be for many fans — and it is financially possible — the Seahawks are not likely to put themselves in such a tight salary cap bind. Besides, their D-line is just fine as is — well, when everyone is healthy. By the fourth quarter of the Super Bowl, they were down five of their top eight linemen — losing Cliff Avril to a concussion was the crowning blow. The Seahawks re-signed Avril late in the 2014 season, which means the Hawks will return their starting four — if they want. Brandon Mebane and Jordan Hill will come back from IR, joining Avril, Michael Bennett and Tony McDaniel and giving the Hawks a solid top five. Re-signing Williams would make it a solid six. And the team likes Cassius Marsh, whose rookie season was cut short in October. The Hawks won’t tender Scruggs or Smith, and Schofield and Dobbs might get better offers elsewhere. With 11 picks in the draft, the Hawks seem likely to find another D-lineman somewhere along the way. It’s also entirely possible they replace McDaniel with a different veteran. Other than Suh and Williams, there are a bunch of good defensive tackles in free agency: Stephen Paea (Chicago), Nick Fairley (Detroit), Jared Odrick (Miami), Dan Williams (Arizona), et al. If defensive tackle Henry Melton is let go by Dallas, as expected, it wouldn’t be surprising to see the Seahawks pick him up for cheap. He nearly signed with the Seahawks last year but ended up signing a prove-it deal with his hometown Cowboys, who are not expected to pay him his scheduled $9 million (he made $2 million last year). Melton is a good inside rusher — he had five sacks in 2014 before getting injured in Week 17 and going on IR before the playoffs. Maybe the Hawks and Melton revisit a deal (not for $9 million a year, obviously). The Seahawks definitely have some decisions to make at this position over the next year, so it is good they were able to re-sign K.J. Wright before the end of the season. The next big move will be to re-sign Bobby Wagner, who figures to be the No. 3 priority on the team behind Marshawn Lynch and Russell Wilson. He figures to get a deal paying him around $9 million a year. The Hawks can afford it, but they might not get to it until after the draft. Smith and Morgan — two of the team’s top special-teams players — are likely to leave. Farwell was on the brink of not making the team anyway before he got hurt and was put on IR before the season. 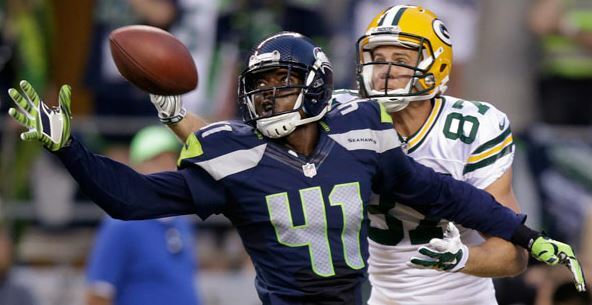 Once Wagner recovered from his midseason ankle injury, Smith went from Super Bowl XLVIII MVP to a forgotten man on Seattle’s defense. But he still might pull a decent deal from some linebacker-hungry team. The Seahawks are unlikely to tender Morgan — it would cost them at least $1.5 million. He might end up in Oakland with Ken Norton, who has coached him ever since he graduated from high school. The Hawks have one built-in replacement in Kevin Pierre-Louis, who was playing very well before his rookie season was ended by a shoulder injury in late November. If the Hawks lose both Smith and Morgan, they will need to bring in a cheap linebacker via free agency or (more likely) the draft. The Hawks are likely to let Irvin go after next season, particularly if they find a LEO in this draft (how about Louisville’s Lorenzo Mauldin in the third round?). Pierre-Louis should be ready to step in as a starter at linebacker alongside Wright and Wagner in 2016. With Wright and Avril re-signed, Maxwell is the Seahawks’ biggest remaining free agent — one of only two starters — and he is unlikely to return. Maxwell is likely to get at least $7 million a year from some team, which is out of Seattle’s budget. Tharold Simon didn’t offer much hope as a replacement in the playoffs. He gave up 10 catches for 114 yards and two TDs to Carolina and then allowed two more TD passes in the Super Bowl after Jeremy Lane was hurt. Simon still might develop, as Maxwell did (remember, it took him more than two years). But you can bet the Hawks will add a cornerback in the draft. Actually, 2014 was the first time they did not draft a cornerback in the five years Schneider and Pete Carroll have been running the show (Eric Pinkston was a sixth-round safety, even though they briefly tried him at corner). They will get back to their usual CB MO, and they might go high and heavy — perhaps grabbing one in the second round and possibly drafting two for the first time since 2011, when Richard Sherman and Maxwell were picked. As for free agency, Walter Thurmond’s name has been brought up, but it wouldn’t make much sense to bring him back. He left last year on a one-year deal with the Giants worth $3.5 million — and ended up on injured reserve again (torn pectoral). Why would the Hawks want a guy who has missed 42 of 64 possible games the past four seasons, due to injuries and suspension? Remember, he’s in the league’s drug program after being suspended for the last month of the 2013 season for a positive test (allegedly for marijuana). If the Hawks could bring him back on a minimum one-year deal, OK. Nothing more, though. One thing the Seahawks definitely need to do on defense this offseason is get a good nickel corner who can keep up with quick slot receivers or running backs. The Seahawks gave up 194 yards after the catch in the Super Bowl — the most they have surrendered since Week 14 of 2010. At safety, Johnson may or may not be back. The Hawks might be hoping their coaching of Pinkston and Dion Bailey pays off, and they still control DeShawn Shead. Beyond filling in roster spots, it really is all about health for the Legion of Boom this offseason. They were decimated in the playoffs as Sherman (elbow) and Earl Thomas (shoulder) were injured against Green Bay, Kam Chancellor (torn MCL) came up lame before the Super Bowl and Jeremy Lane (wrist) was injured on his interception in the first quarter vs. the Patriots. Lane, Thomas and Chancellor (hip, ankles) were all expected to undergo surgical fixes, and Sherman plans to rest up rather than have Tommy John surgery. The Hawks have to hope they all come back healthy and ready to go in late July.